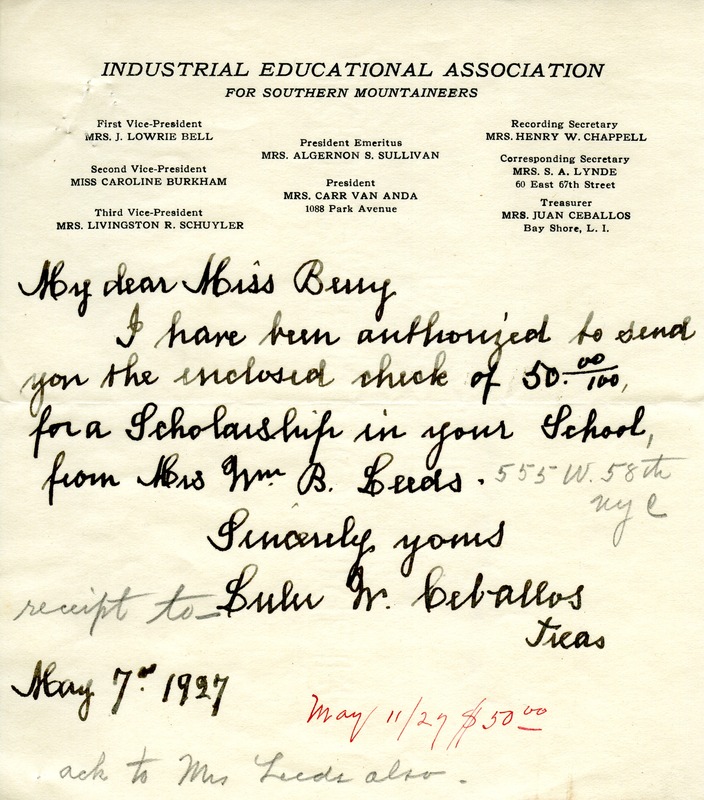 Lulu W. Ceballos writes to send $50 for a scholarship from Mrs. Wm. B. Leeds. Lulu W. Ceballos, “Letter to Martha Berry from Lulu W. Ceballos.” Martha Berry Digital Archive. Eds. Schlitz, Stephanie A., Chelsea Risley, et al. Mount Berry: Berry College, 2012. accessed April 21, 2019, https://mbda.berry.edu/items/show/4679.